Samuel born in Hirbelle, France, after the Napoleonic Wars, when his father Thomas, a soldier, was camped near St. Omar, midway between Calais and Bethune. Samuel went on to become a soldier himself, enlisting in the 6th Regiment of Foot (the Royal Warwickshire Fusiliers) in London, on May 23, 1838 when he was 21 years old.. He subsequently transferred to the 12th Regiment, and in 1842, he was a sergeant stationed in Winchester, England, when his daughter Emma was born. Emma's mother, Mary Gould Greenaway, was a native of Warwickshire, also the home county of Samuel's father Thomas. Soon after Emma’s birth, Samuel’s Regiment was sent to Mauritius. This island in the Indian Ocean was a French outpost taken over by the British after the Napoleonic Wars, and as such, required Army units to look after Britain’s strategic interests on the sea route to the East and to Australia.In August 1844, Samuel was promoted to Colour Sergeant, while based at Souillac on the southern coast of the island. The Archer family was still in Mauritius when Emma’s brothers, Arthur and Frederick, were born (1848/50). During his time there, Samuel served with the 12th (Suffolk) Regiment, the 5th (Northumberland Fusiliers) Regiment, the Corps of Military Labourers and was finally transferred in 1855 to the Staff of the Quarter Master General’s Department in Port Louis. 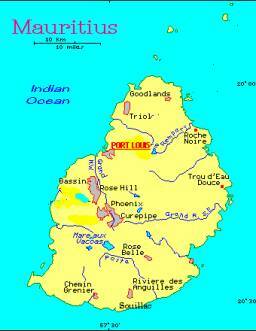 Victoria in the early 1850s, there was an exodus of fortune seekers from Mauritius to Australia. (Samuel's old regiment, the 12th, had been involved in putting down the Eureka uprising of December 1854). Marchioness, and her captain certified they were not immigrants "within the meaning of the Act of the Governor and Legislative Council of Victoria" (an Act "which makes provisions for certain passengers"); the significance of this note is as yet unknown. After the family’s arrival in the Colony, they joined the huge throngs making their way to the Victorian goldfields. 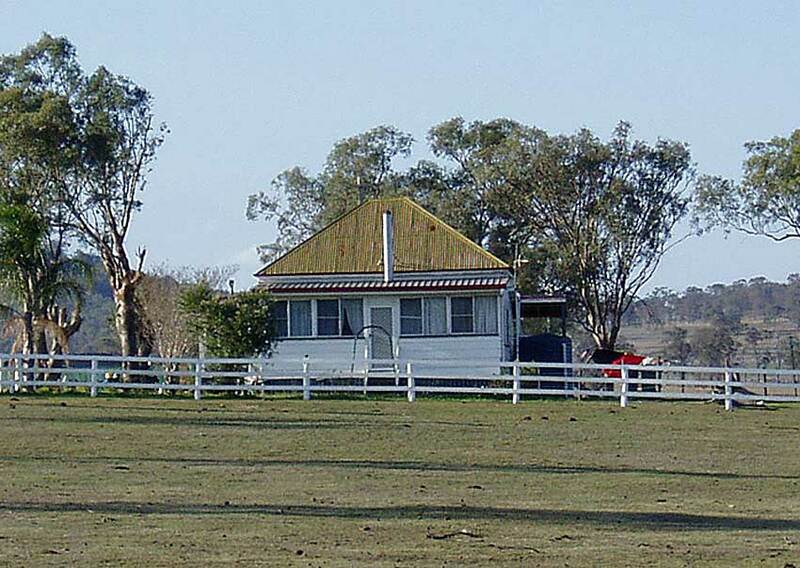 For a time, the family's home was a tent, pitched on Strathfillan station near St. Arnaud, west of Bendigo. In 1858, the property of Strathfillan, then owned by David Peters, was the setting for one of the hundreds of gold strikes in central Victoria during the Gold Rushes. The alluvial diggings, known as Peters', achieved a temporary fame, with 1300 miners there at the height of the rush, but this soon dropped to 200. The country was very fertile, highly suited to agriculture, and many of the miners cultivated their own plots to supplement their earnings from gold. If he ever started prospecting, Samuel did not stay long at it - he gave his occupation as "shepherd" on his daughter Emma's marriage certificate. Two years after Emma’s marriage, Samuel moved north to Queensland with his two young sons, John Arthur and Frederick Samuel, when Emma and her husband Felix Pobar (with their newborn son Felice) left the Victorian goldfields to make a new life in southern Queensland. When Felice and Emma moved in to Toowoomba from the Jandowae area, Samuel and his two sons accompanied them. 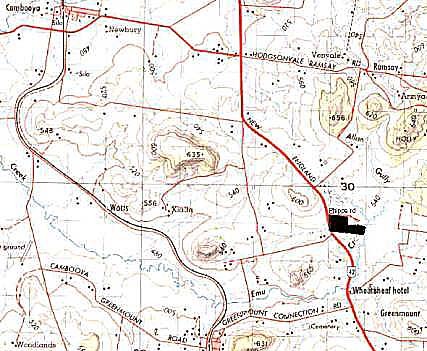 There, the Archers and Pobars first settled at Black Gully, then a semi-rural area in Toowoomba's north-west. In 1868, Samuel and his two sons took up land at Emu Creek (now East Greenmount), in the Drayton area south of Toowoomba. 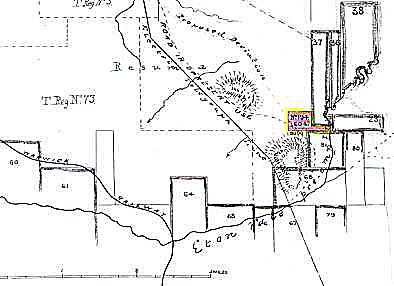 The Land Act of that year enticed selectors to areas not already acquired as freehold by squatters, and Samuel and his sons joined the numbers who elected to settle in the popular districts clustered around Toowoomba-Drayton. Samuel’s selection had been part of the renowned pastoral property of Eton Vale resumed for selectors. Samuel’s first selection consisted of 60 fertile acres with water access to Emu Creek and adjoining the Toowoomba-Warwick road. Some years later, he acquired an adjoining 20 acres. "weather board and galvanized iron cottage (see photo below) all fenced in with a good fence; 21 acres ploughed and cultivated with 6 acres lucerne and the remainder corn and wheat". The Archer cottage in 2005. Neighbours say it was shifted several hundred metres from its original location on the selection, to a site closer to the New England Highway, 2km north of East Greenmount. 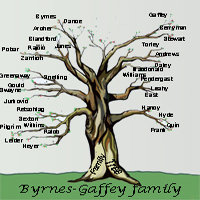 Among Samuel's neighbours was the Davis family, of On Our Selection fame, cast into Australian literary folklore as “Dad and Dave” by Arthur Hoey Davis writing as Steele Rudd. Davis wrote about the trials and tribulations in the life of a selector and his family living in “Snake Gully” (based loosely on the Davis family’s own experiences at Emu Creek). Samuel, however, evidently prospered on the Darling Downs, and by 1874, he was listed in the Post Office Directory as a squatter, at St. George Farm, Greenmount. In the same directory, his then 26-year-old son Arthur is recorded as being a farmer, at Emu Creek, Greenmount. In April, 1899, Samuel died in Toowoomba General Hospital, after being in hospital only one day. His death certificate says he collapsed and died of "Morbis cordis" (heart disease). A probate notice described him as a farmer, "late of Emu Creek, near Drayton, in the Colony of Queensland". 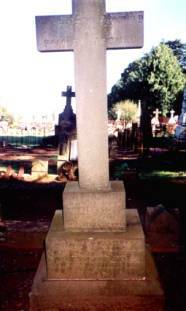 He is buried in Toowoomba Cemetery. Samuel’s sons, Arthur and Frederick, never married. They continued to work the farm until their deaths in 1932. D B Waterson, Squatter, Selector, and Storekeeper: A History of the Darling Down, 1859-93, Sydney University Press, 1968, p139. Lands Department selection file under the C.L.A. Acts, 1868 & 1876 [Qld State Archives: LAN/AG, Toowoomba, selection no. 194]. Toowoomba Chronicle, April 29, 1899.